Water temperature has a significant role in successful bass fishing. 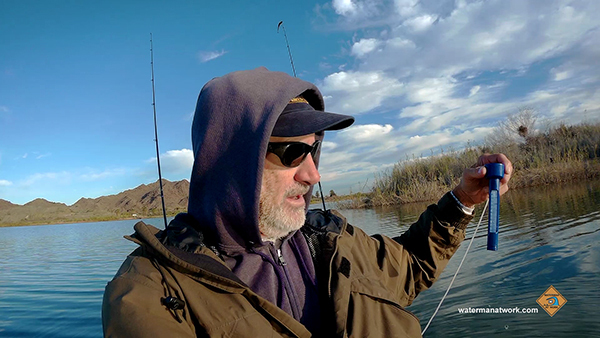 In this YouTube video, watermanatwork.com kayak fisherman Ron Barbish, explains how the temperature of the water can be a real factor in whether or not you catch any fish. Pretty basic stuff that every bass fisherman should know. Click HERE or on the photo above to check out the Bass Fishing and Water Temperature video on YouTube. We will be posting a higher quality video on the watermanatwork.com website so stay tuned for that. More kayak fishing videos are also on the way. Always something happening at watermanatwork.com.